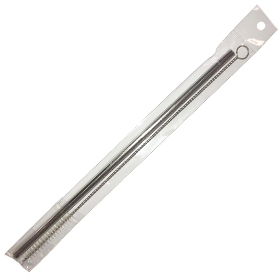 We tested a number of plastic alternate straws and finally settled on importing stainless steel models only. 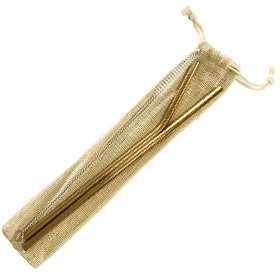 Our testing is based on the assumption that the straws are used as gifts or promotional products and need to be branded with logos. Here are the results of our straw tests. 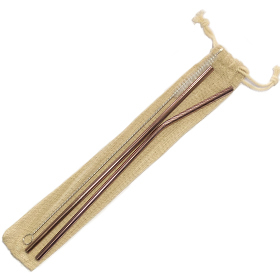 We found copper straw material to be very soft which allowed them to bend easily. A second problem with this is that they scuff and look unsightly very quickly. Bamboo is a sustainable material that’s been used for many products now. Unfortunately as a straw it was not up to par. We found they left a taste of green woody taste especially when drinking hot drinks. When drinking colder drinks the taste was also there although a lot milder. After a few sips that woody taste was definitely noticeable. The glass straws were by far the best to drink with. The thick glass with rounded edges was easy to the touch when drinking either hot or cold drinks. 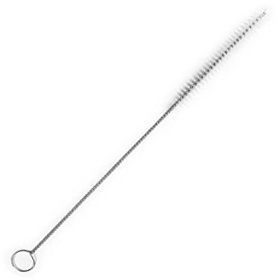 The only problem with glass straws is that they are hard to brand or add logo’s to. The second most obvious issue is that they break when dropped. They need to be handled with care when washing them. 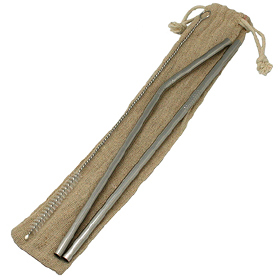 We finally settled on selling stainless steel straws. 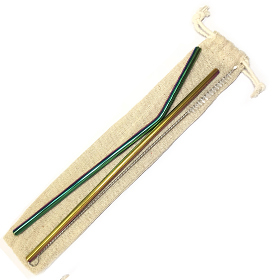 The only issue we found with this straw is that it gets very hot when drinking hot beverages. The question is how often would one use a straw to drink hot beverages? Not often in our opinion. They are easy to brand using laser engraving. They do not bend easily.